Super absorbent pads are designed to absorb and neutralize up to 900 cc of 10% neutral buffered formalin. Pads are specially treated for the destruction of harmful vapors, including formaldehyde, 10% NBF, and glutaraldehyde solutions. The blue color of each pad makes an excellent background for grossing tissue. 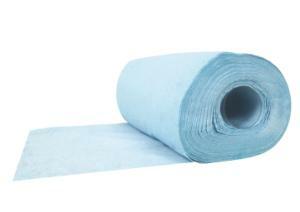 Ordering information: Absorbent pads 95039-810 are packaged 55 sheets per roll, six rolls per case. Absorbent pads 95039-812 are packaged 30 pads per case.